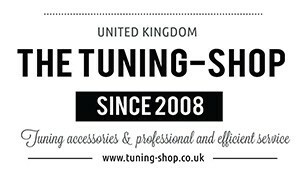 Welcome to The Tuning-Shop Ltd. We are a business established in 2008 and based in Cornwall. We are manufacturer and seller of custom car interior styling products made of genuine leather or alcantara/suede: car gaiters and boots, armrest covers, gear knob covers, etc. We also sell alloy rings/surrounds, gear knobs, armrests, and much more. We supply choice of car parts, Mopar fluids and service kits for American and European vehicles. We are also a distributor of DIY accessories like adhesives, lubricants, cleaners, many different types of adhesive tapes and other products for motorisation and household made by Technicqll. We can do custom embroidery to make the products unique and better looking. We also offer embroidery service for Polo shirts, T-shirts, fleeces, hoodies, jumpers etc. All work, sport, club and private enquiries are welcome. Our aim is to offer you proffessional and efficient service. We are here to make your visit and any purchase as smooth as possible so please do not hesitate to contact us if you have any question. Special orders are welcome.